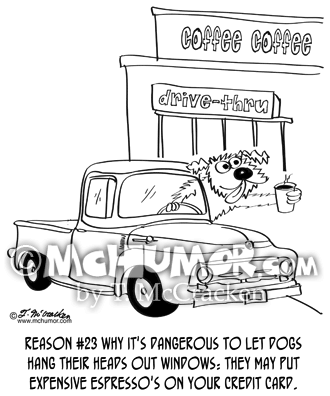 Dog Cartoon 8528: "Reason #23 why it's dangerous to let dogs hang their heads out windows: they may put expensive espresso's on your credit card." 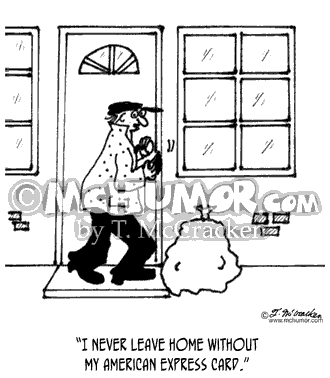 A dog grabs a coffee cup at a drive through window. 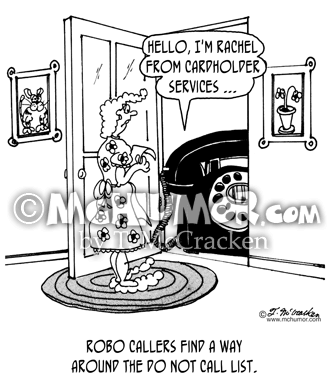 Robo Call Cartoon 9134: A huge phone at a woman's door says, "Hello, I'm Rachel from Cardholder Services ..." "Robo Callers find a way around the do not call list." 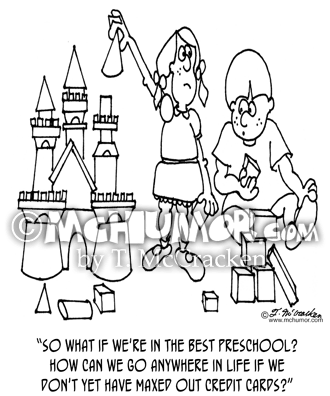 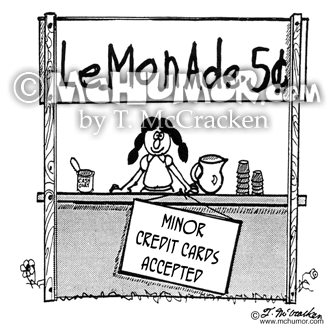 Credit Card Cartoon 3958: A kid with a lemonade stand has a sign, "Minor credit cards accepted." 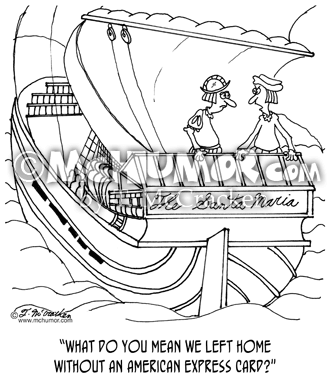 Crime Cartoon 3488: A man using a credit card to pick a lock saying, "I never leave home without my American Express card." 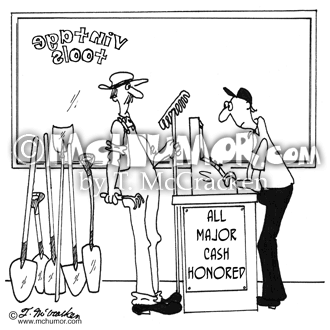 Money Cartoon 4835: A hardware & gardening store has a sign, "All Major Cash Honored." 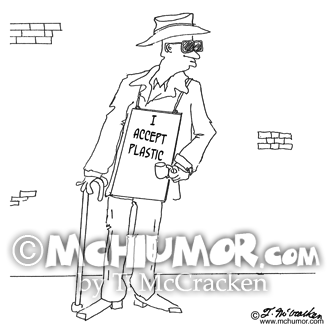 Credit Card Cartoon 9019: A panhandler with a sign, "I accept plastic."